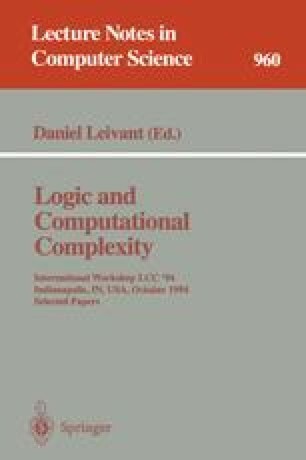 We define and justify a natural sequential model of computation with a constant amount of read/write work space, despite unlimited (polynomial) access to read-only input and write-only output. The model is both deterministic, uniform, and sequential. The constant work space is modeled by a finite number of destructive read boolean variables, assignable by formulas over the canonical boolean operations. We then show that computation on this model is equivalent to expressibility in first-order logic, giving a duality between (read-once) constant-space serial algorithms and constant-time parallel algorithms. Partially supported by NSF grant CCR-9403447, and the John C. Whitehead faculty research fund at Haverford College.